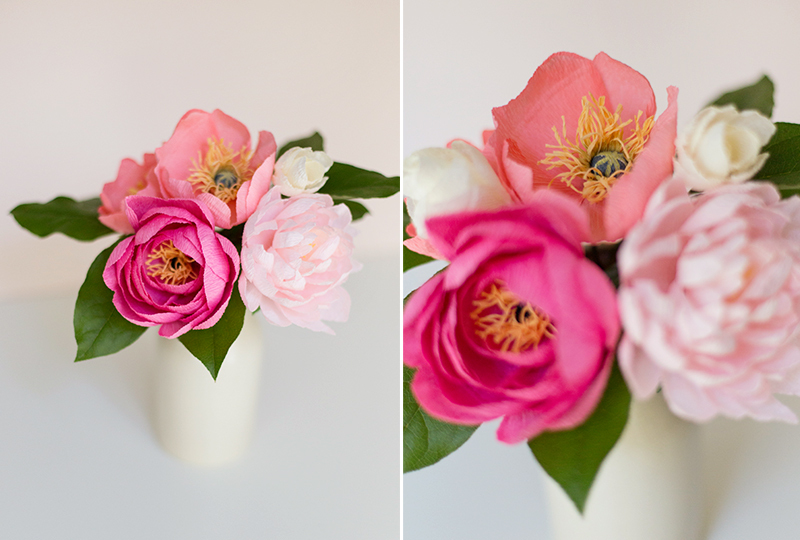 Mother's Day Paper Flower Bouquet DIY! 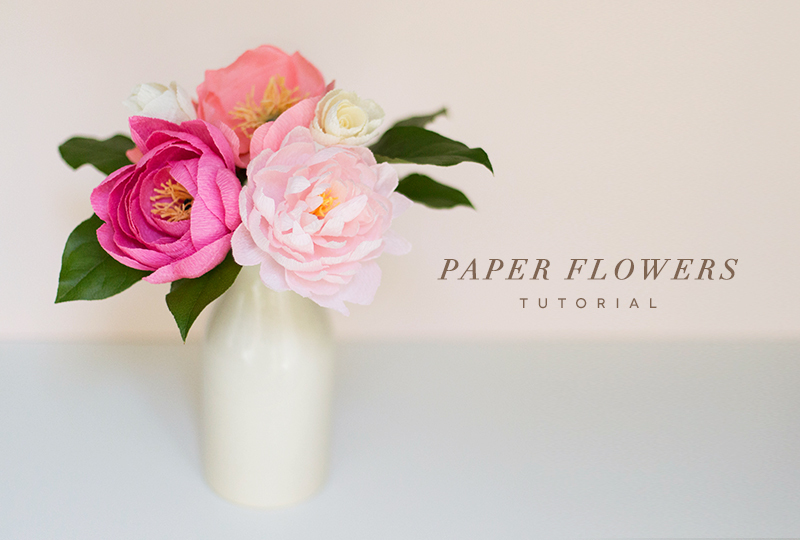 25 Apr Mother's Day Paper Flower Bouquet DIY! 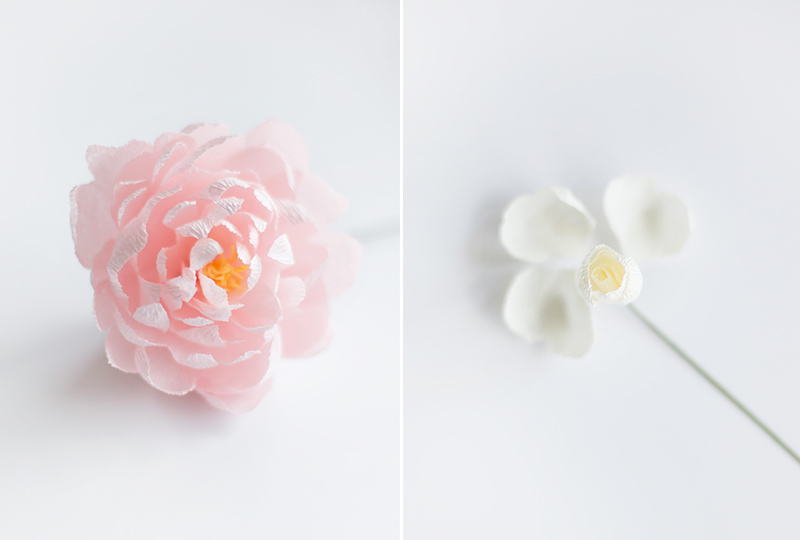 To start you guys down your inevitable paper floral addiction, we have instructions for three different blooms: a peony, a poppy, and a wildflower. The full instructions can be found in the PDF guide here! 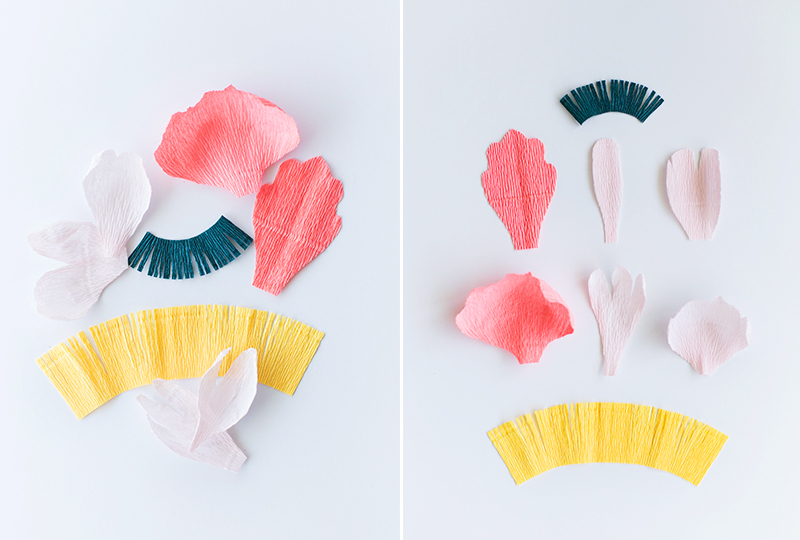 Crepe paper usually needed to be ordered online as it is rarely available in local craft stores. My favorite places to order from are Carte Fini, Paper Mart and Castle in the Air. You can also find titles for a few of my favorite paper crafting books in the PDF as well! The instructional guide is just to get you started. 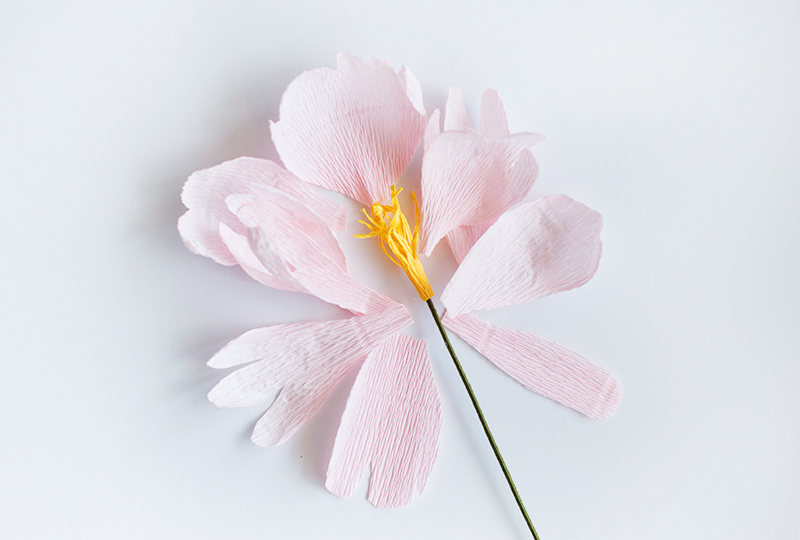 The best part about paper flowers is experimenting and making something new and totally different. 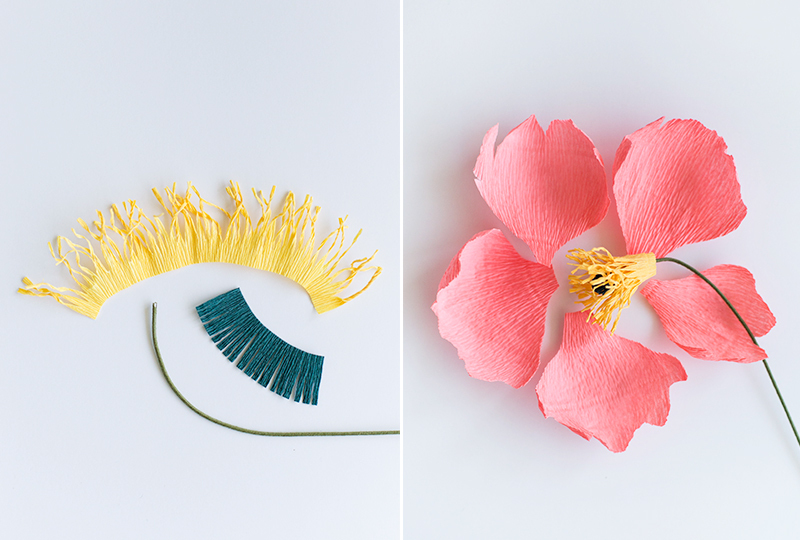 Add more petals, layer colors, create a whole new bloom! When all your blooms are finished grab some greenery to create a more realistic looking bouquet! 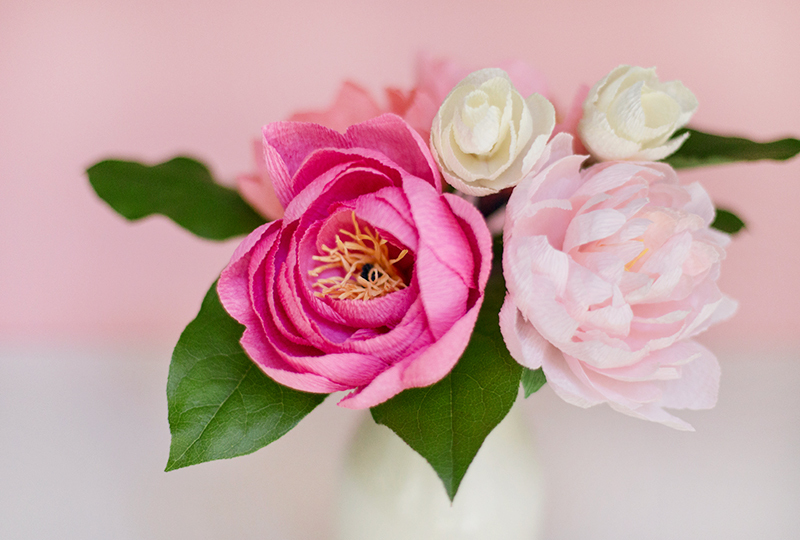 Add water in the bottom of the vase for the real stems, and then cut the wire stems from the paper flowers short enough so they won’t touch. That way the greens last longer and the wires won’t rust! The flowers will never die or fade (hooray) so you can swap out new greens whenever you want! Happy crafting everyone! Click here for the instructional guide! And don’t forget to tag us @napcp and using #napcp when you display or gift your beautiful creations! Click here to see our free printables and DIY projects or visit the NAPCP store at www.napcp.com/shop! April 2018 Inspired Magazine: Featuring 2017 NAPCP Ambassadors! Happy Mother's Day Weekend from NAPCP! Happy Mother's Day from NAPCP!